Harvey Prince - "Hello" Fragrance - A bright and fresh floral-fruity fragrance. It boasts notes of mandarin, grapefruit, forsythia, and plumeria. Such a lovely scent that's perfect for summer! 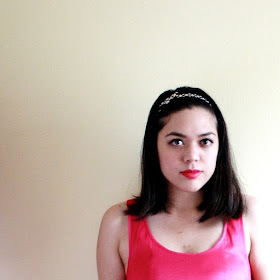 However, it faded pretty quickly on me (after a few hours). H2O Plus - Aqualibrium Marine Cleansing Gel - This oil-free cleansing gel has a clean beachy scent (similar to their body wash). It made my face feel nice and clean without drying it out. 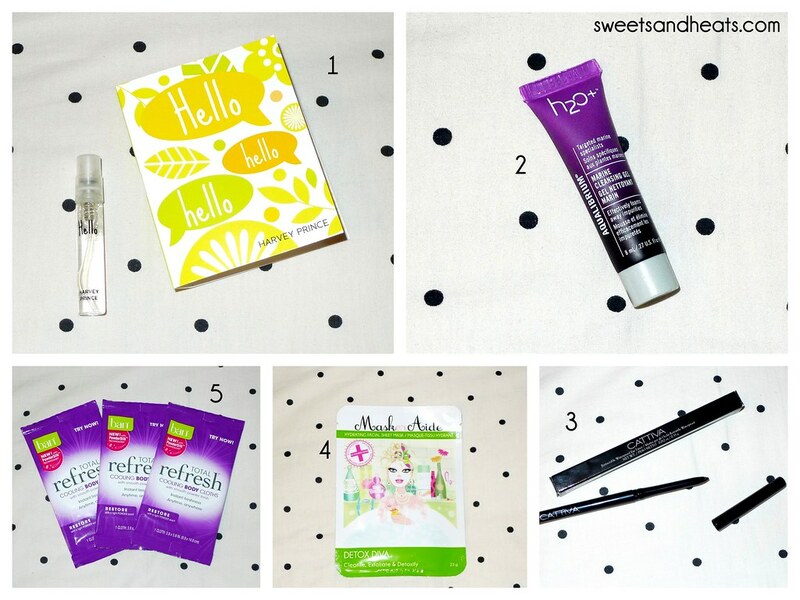 I used it to wash my make-up off before trying out the MaskerAide Facial Sheet Mask below. 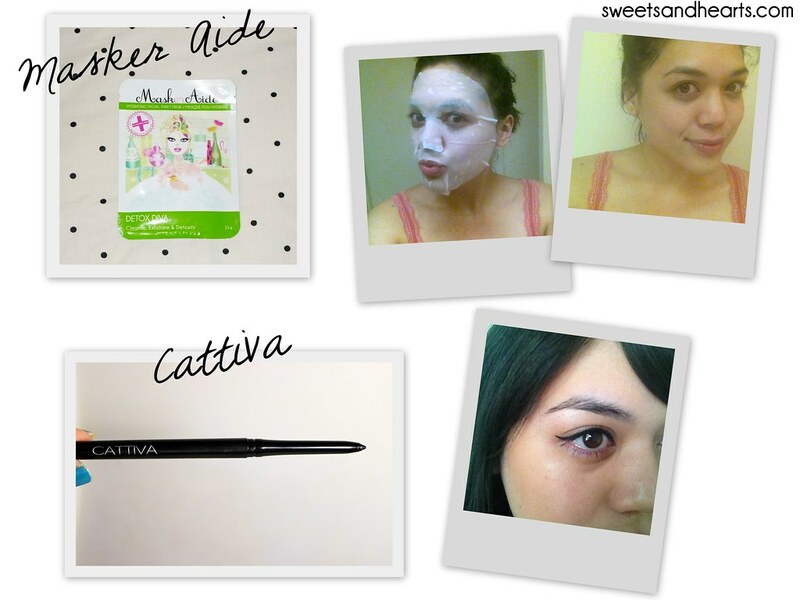 CATTIVA- Precision Eye Liner in Black - I'm always suspicious of pencil eye liners that claim to be waterproof, but this one stayed put! It lasted throughout the day (in 90 degree weather) without smudging or ending up under my eyebrows like some of the other ones I've tried. A definite keeper. Swatch below--I used it to make a thick line and created a sharp cat-eye wing using Too Faced's 3-Way Lash-Lining Tool. MaskerAide - Hydrating Facial Sheet Mask - I decided to pamper myself while watching a little Netflix. Why not give myself a mini facial? Yeah, it looks terrifying when you put it on (see below), but it felt so nice while I was wearing it! It smelled really good and had this pleasant cooling sensation. My face felt so refreshed and moisturized afterwards. It makes a great little pick-me-up. Ban - Total Refresh Cleansing Body Cloths - After a long, hot day of running around (...shopping), I opened one of these and gave myself a quick rub-down. It has a clean, subtle scent and leaves your skin with a silky, powdery finish. It's perfect for road trips or after hitting the gym. 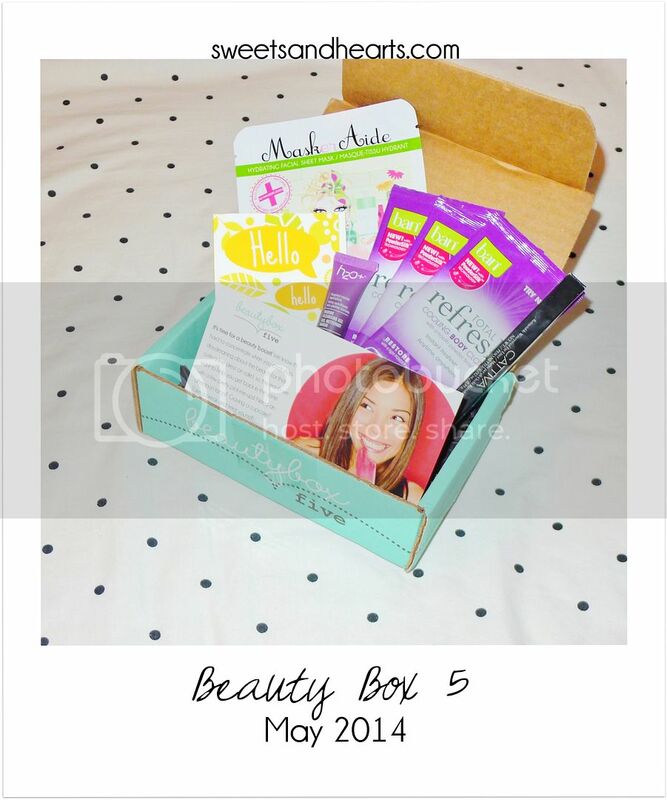 Discover new beauty faves and receive 5 surprise products a month by joining Beauty Box 5 here. All the products featured can be found below.